After all the hullaballo of this ramen place, I was able to step inside during a late lunch, free from lines and other wordly-hassles. We were seated quickly and we ordered. 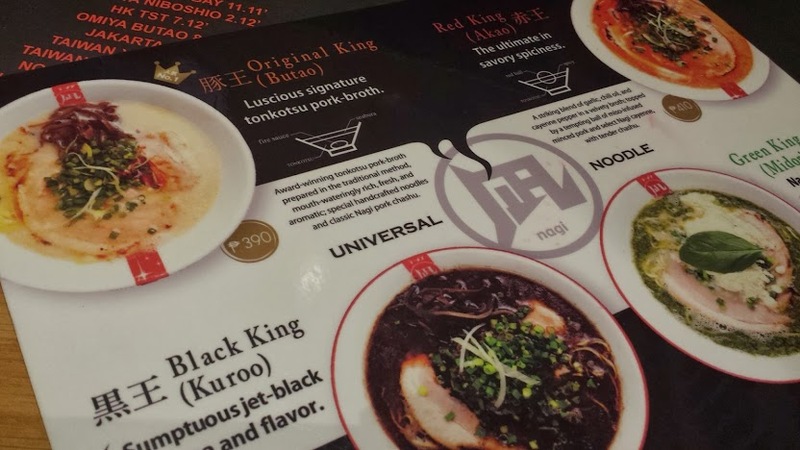 Their menu involved customizing each dish to your liking. 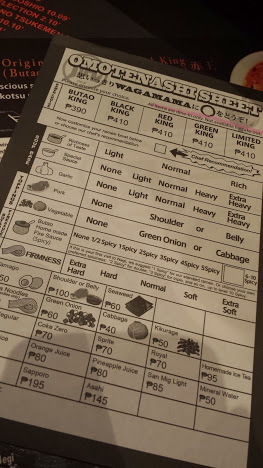 I ordered the Butao King, the original one) with normal richness, light special sauce, heavy garlic, pork belly and green onion. 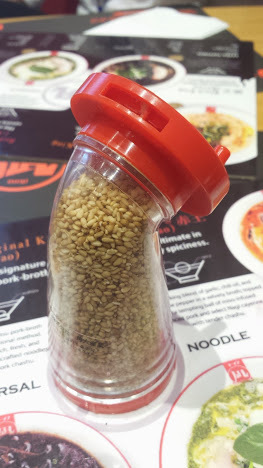 I also put only 1 for the spice level, and hard for the noodles. The dishes were served pretty quickly, less than 5 minutes. With all the food cooked already, I guess that would be easy to manage. But all in all, it was a good experience. Not in the extremely great, but great still. Will I go back? Hmmmm. Maybe not. 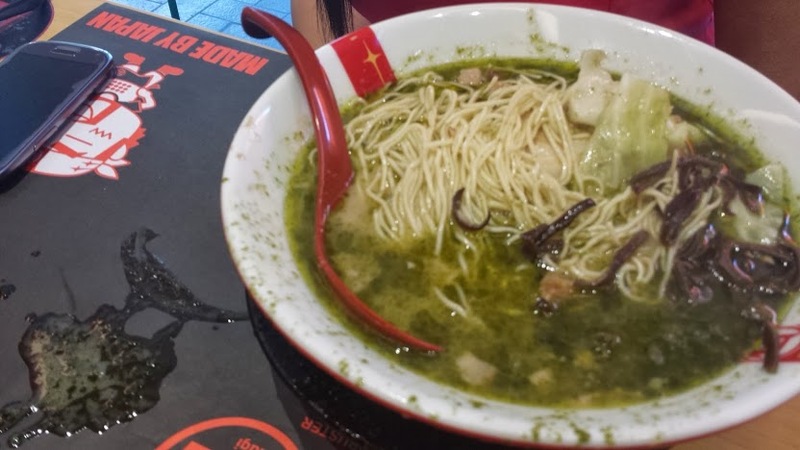 I have already tried too many ramen places and am getting sick of it. 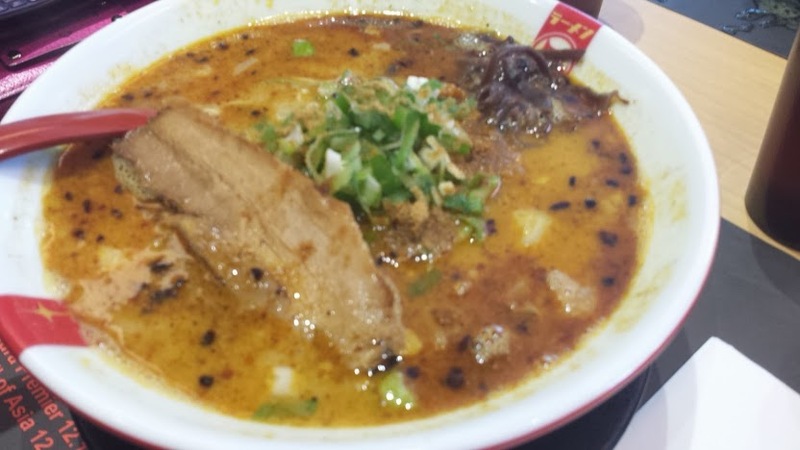 Too bad that Butao (Ramen Nagi) opened just a little bit late for me, too late in the game. Hi! 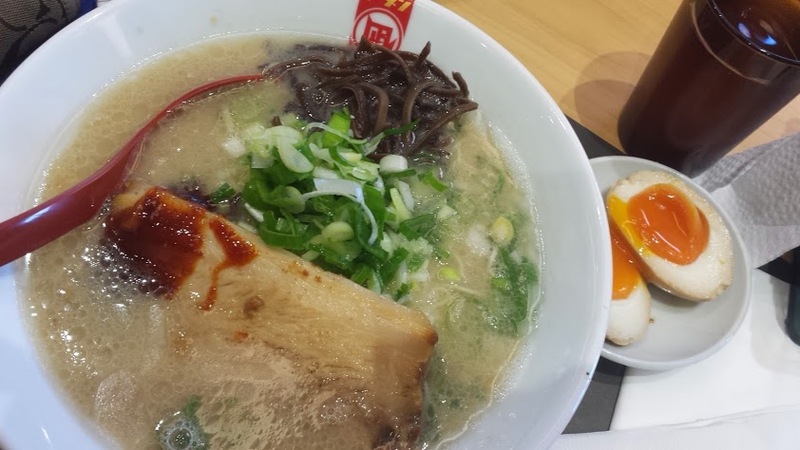 Is this the Ramen Nagi branch in Mall of Asia? Can you confirm that it is open already? Online it says it is not, haha. Thanks! Ah really? I didn’t know… but i guess i found it more distinct this time, i guess..